Sanaa (AFP) - The United States, Britain and France rushed to close their embassies over security fears in Yemen on Wednesday, with US staff destroying top-secret documents and abandoning vehicles at the airport. The hasty exit came as thousands joined rival demonstrations over last week's Shiite militia takeover, which was widely condemned as a coup. 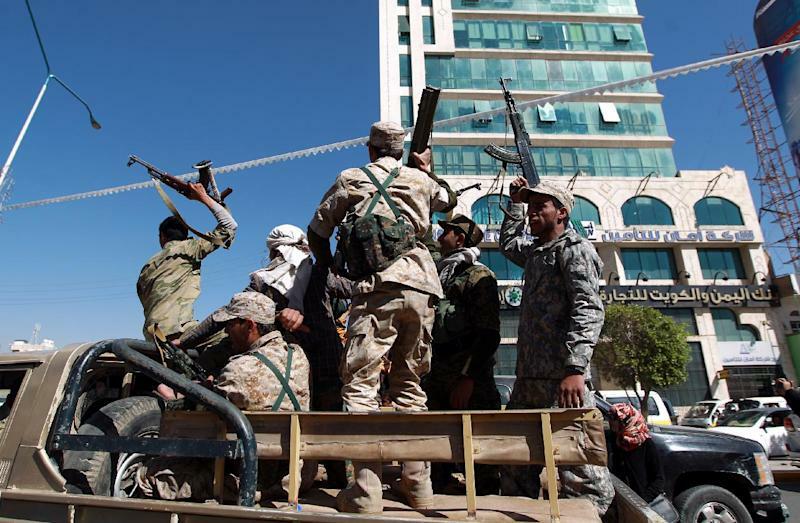 Long on the front line of the US war against Al-Qaeda, Yemen has descended into chaos since the militia, known as Huthis, seized the capital Sanaa in September and ousted the parliament last week. The United Nations has demanded the reinstatement of the Western-backed leader Abedrabbo Mansour Hadi -- who resigned last month and is under effective house arrest -- but its efforts to broker a deal have failed so far. After weeks of internal deliberations and drawing down staff, Washington finally closed its Sanaa embassy over the "deteriorating security situation," evacuating staff to Muscat late Tuesday on a private Omani jet. State Department spokeswoman Jen Psaki thanked Oman's sultan for his help as well as Qatar, saying most staff were now en route back to Washington. All the US Marines also left the country, taking commercial flights. Officials stressed that there were still US special forces on the ground to carry on the fight against Al-Qaeda. US officials refused to say how many people were evacuated, but there were said to be dozens of Marines in Sanaa -- a larger than usual contingent. Before evacuating, the Marines "destroyed their heavy weapons and crew-served weapons, machine guns and such," Pentagon spokesman Colonel Steven Warren told reporters. They also turned over their personal weapons to Yemeni authorities. Computers, documents, telephones and other sensitive materials were also destroyed, local embassy employees told AFP. Psaki refused to go into specifics, other than to say that normal procedures had been followed, adding "we take every precaution necessary". A wrecking crane was used to destroy numerous vehicles, while those used to evacuate the embassy staff were seized by militiamen at Sanaa airport. They included three cars used by Ambassador Matthew Tueller and his staff, and more than 25 vehicles used by the Marines in charge of security, airport sources said. Militiamen were later seen taking up positions around the embassy. Psaki said the seizure of the vehicles was "completely unacceptable" and urged the Huthis to "respect international conventions" regarding the embassy site. Britain also evacuated its diplomats, with a senior official saying: "Regrettably we now judge that our embassy staff and premises are at increased risk." France called on its 100 or so citizens in Yemen to leave the country and said it would close its embassy from Friday over mounting security fears. Arab Spring protests in 2011 had raised hopes of democratic reform after more than three decades of iron-fisted rule by veteran strongman Ali Abdullah Saleh. But Saleh's departure from office in early 2012 left a power vacuum that the Huthis and Al-Qaeda have vied to fill. 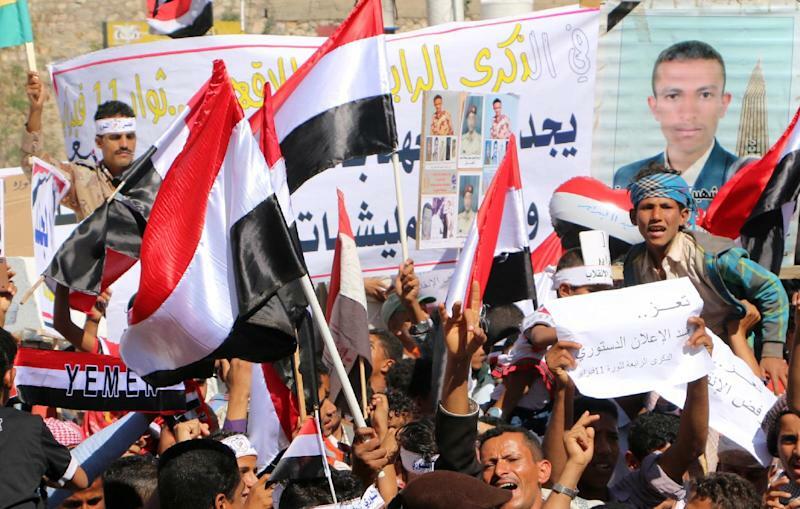 In Sanaa, the militiamen fired warning shots and used batons and daggers to disperse hundreds rallying against them, while thousands of their supporters gathered in Change Square. Washington has been at pains to stress its battle against Al-Qaeda and the jihadists' Yemen branch will continue. "There continue to be Department of Defense personnel ... on the ground in Yemen that are coordinating with their counterparts," said White House spokesman Josh Earnest. They were carrying out "the counterterrorism actions that are necessary to protect the American people and our interests around the world". Al-Qaeda in the Arabian Peninsula (AQAP) is considered the jihadist network's most dangerous branch. "We hope to return" to Sanaa, Psaki insisted however. The exodus of Western diplomats came despite assurances from militia leader Abdulmalik al-Huthi. "Some people are raising concerns among diplomatic missions so that they flee the country," he said. "These fears are unfounded. The security situation is stable." Iranian Deputy Foreign Minister Hossein Amir Abdolahian also criticised the "hasty action" of closing the embassies, insisting the Huthis were fighting "corruption and terrorism". 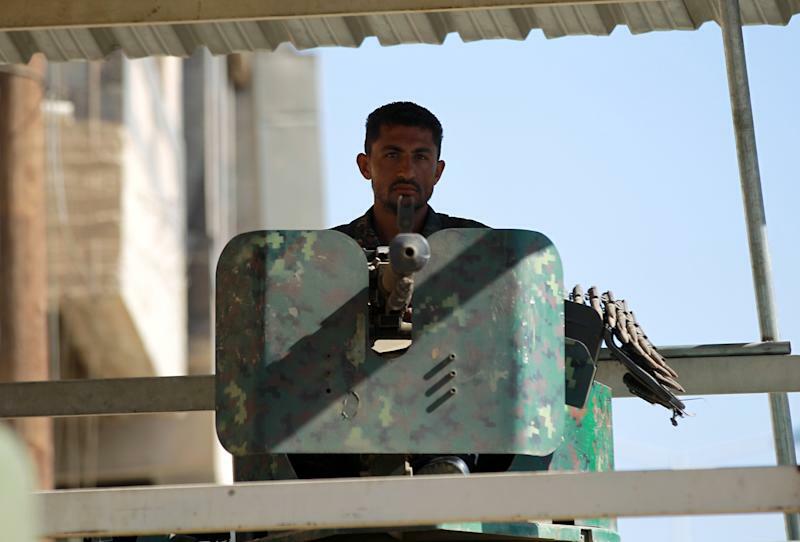 Huthi, often accused of receiving support from Tehran, has repeatedly portrayed his militia's advance into Sunni-majority areas as a battle against jihadists and called for Western support. New video of Meghan Markle on humanitarian trip in 2017 released: Watch!